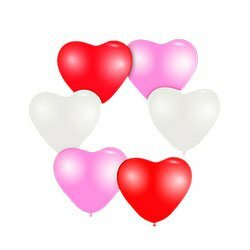 Buy Modelling Balloons – Qualatex Balloons – Balloon Modelling Kits. If you’ve ever been to a circus, fete or fayre you’ll know that children fall over themselves to get their candy floss covered hands on a balloon model. The beauty of modelling balloons is you can create almost anything so boys and girls and kids of all ages can have something they like, be it a sword, a dog, flowers, a hat or a pony. 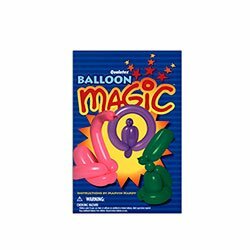 Whether you’re a professional balloon sculptor or you’re just looking for a fun activity for a child’s birthday party you can get what you need here. We stock a huge range of different colour and size modelling balloons. The most popular being 260 and 160, the first number represents the width in inches and the second two show the length. We also have less common sizes such as 350. 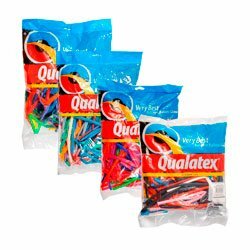 All our balloons come from the top manufacturer in the world: Qualatex. If you’re not a seasoned balloon modeller we have a range of books and guides on how to make balloon models. From simple sculptures like swords to more complex models of your favourite cartoon characters, we’ve got the lot. The more advanced of these book will also provide inspiration for expert modellers. All are illustrated with clear photos and diagrams to guide you through the process. 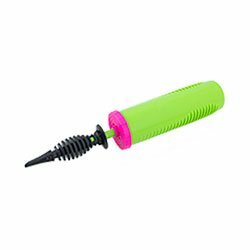 You will need a hand pump to inflate modelling balloons though so we supply these too. We have cheap balloon pumps suitable for irregular use but we also have quality double action pumps that will get those balloons up in no time!